My lady and I are hosting a trip down in ascension bay next month. Last minute for sure, but the price is right! We filled up one week, and now we’re seeing if we can fill the only other open spot on their calendar. $1525 includes transport from Cancun to Punta Allen, all food, drink ( alcohol included!) 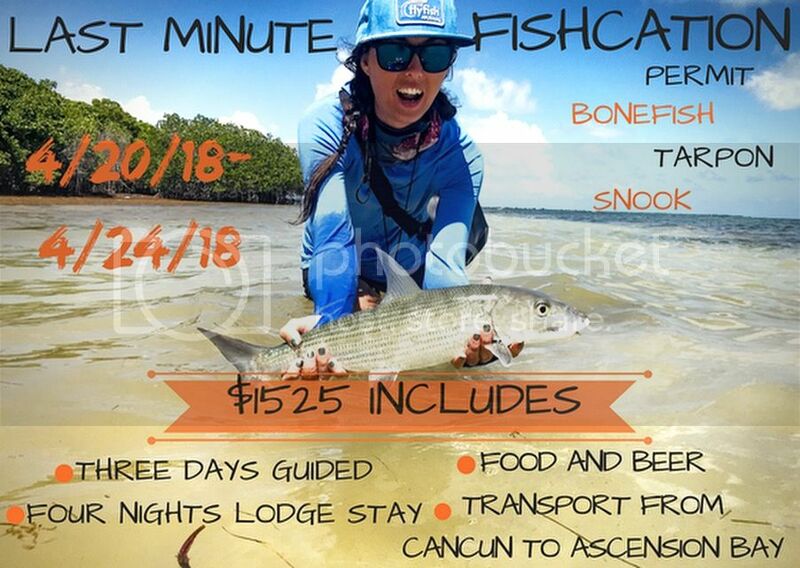 4 nights lodging at ascension bay lodge ( ex Abbco for those who’ve been to Punta Allen) and 3 days of guided fishing in ascension bay. Plus! Flights from Phoenix to Cancun are SUPER cheap. If you’ve ever wanted to experience saltwater flats fishing at its finest, and still remain affordable, this is the trip. Dm me for more info, I’d love to have some Az friends along!